Naman Goel is writing on the Svbtle network. I’m not trying to start a flame-war. Both Typescript and Flow are great. Both are extremely powerful, gradual, structural, type-systems. They also, look very similar, with almost the same syntax. Almost. Often developers jumping from one system to the other get frustrated that all the things they learnt no longer work in the same way. And they assume that the features aren’t supported. And so, they do what any modern JS developer would do and vent on Twitter. Forget everything you know about Gulp. Welcome to Gulp 4. If you’re a front-end developer you surely have a build process in place. You maybe using Grunt, Gulp, Broccoli, NPM scripts etc. If everything works for you and you understand everything in your build process, you should stop reading now and focus your energy elsewhere. If, however, you’re confused or just want to learn a little more about Gulp hang around. If you currently break your gulpfile into multiple files, you probably make a folder called gulp and using something like require-dir to import it all. While this works for now, it has the effect of making your build process harder to read. Instead, keep things more explicit. This happens in two steps. Firstly, start writing you gulp tasks as simple functions and attach them to gulp.task separately. Is Safari the new IE? Safari isn’t remotely like IE 5-8. Safari is fast, efficient, and it’s been getting more stable. It mostly follows web standards and doesn’t shove in too many proprietary features into. 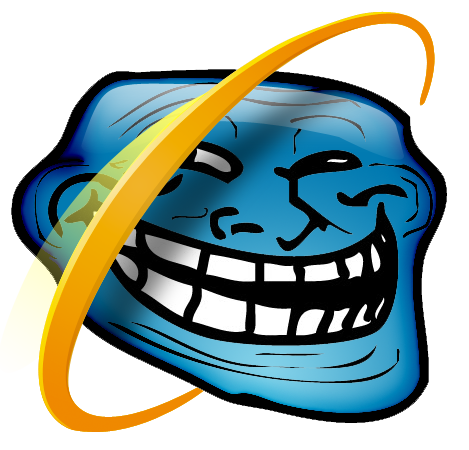 We’re far from the ActiveX monster that was Internet Explorer. If you look at Internet Explorer 9 - 11, Safari seems to be following in it’s footsteps. It’s standards compliant, but it’s way behind the competition. Features that have been implemented in all other browsers is nowhere on the horizon for Safari — WebRTC, getUserMedia, Web Components, Shadow DOM, the list goes on. Once upon a time, HTML was the only language on the web. Styling was done with tables and color tags. Then CSS came along, and changed how we though about design. CSS selectors grew to let you target almost any element on your page in many many ways. Inline styles were shunned, to improve maintainability, and keeping you HTML free from junk. A little down the road, we are told not to use the power of CSS selectors. We are now told to only use classes, and nothing else. And we’re now left to painfully go through our markup and styles and create a set of classnames that are unique but general. At the same time CSS is still missing many features. In 2015, we can’t rely on CSS to have variables. Vjeux from the React time detailed these problems a few months ago in this talk. While on the one hand, Substack talks about how bundling features into a single project hurts Semver and hurts competition, Pete Hunt is sick of this ‘modularity shaming’ and points out that the Webpack codebase is extremely modular. There are the often simple explanations, Pure functions, no side effects, etc. All these sounds like huge limitations to most programmers who are used to using for loops etc. I’m going to talk about it in a different way. Going semi-colon-less. OR why I’m considering the NPM Style Guide. So, let’s just not rely on stupid ASI and always write semi-colons. It sounds good enough. It sounds logical. Also, Douglas Crockford said it, so it’s probably the right thing to do. But, the more time I spend writing semi-colons, the more I realize that you can’t really avoid the ASI by putting semi-colons. I agree that the JS ASI is weird and strange. But it is not inconsistent. It has a certain set of rules that work in every browser. Grunge.js is what I can call my first major Open Source project. It launched without much fanfare. And it’s been stagnant ever since. It has seen little activity on Github, and almost no one has actually used it on a real project. Hell, even I’ve never actually used it on a project. Grunge.js was my way to put generators to use and make something interesting. Turns out, Lazy.js does most of the things it does, and the few things that it does that other libraries don’t are edge-cases that people usually don’t care about. Grunge.js, I thought, was going to turn into just a library for academic interest, but then I saw transducers and js-channels. At first, I didn’t really get it, but then I saw how amazing transducers could be. They are fast, and extremely flexible. They make it possible to treat channels and observables as just another collection you can map over. This year’s WWDC was a big surprise for anyone following Apple. But the biggest surprise was the new language called Swift. Apple has managed to create a whole new language that borrows heavily from many other languages but eventually is something unlike anything out there. The syntax may be similar but there unique characteristics to the language that are not out there in any other language. One of these is the fact that Swift is completely compatible with Objective-C. It uses the same APIs and in fact you can use both languages in the same project. It is then but natural for lots of people to directly compare Swift with Objective-C. Others have also compared Swift to Go, Scala, F#, C# etc.